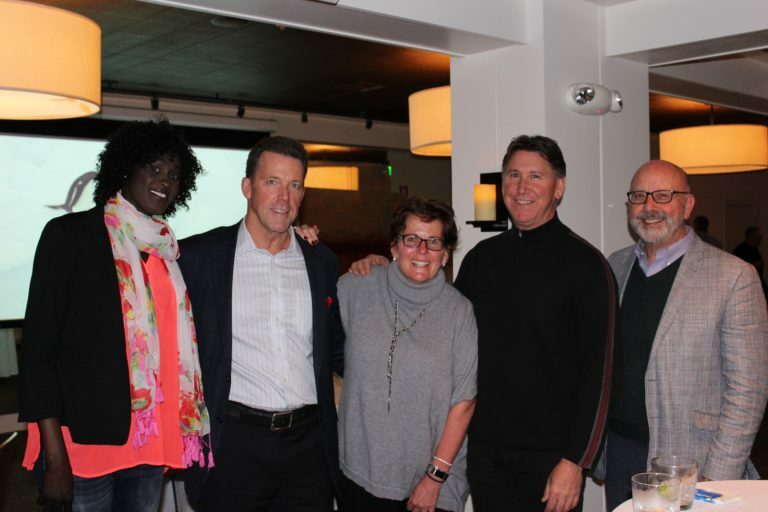 Lifeguard Wealth was delighted to host another client appreciationevent on February 2, 2017 featuring a presentation from US Navy Military Sealift Command reservist Scott Shackleton. 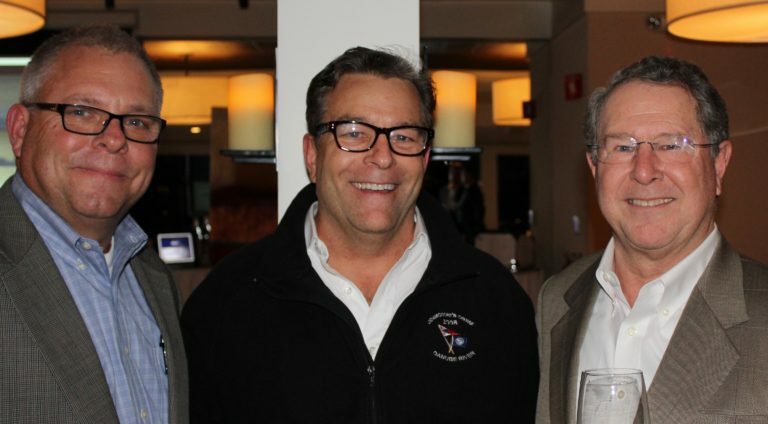 Managing Director Joe Delaney found a wealth of inspiration from Captain Shackleton’s talk about his distant cousin Sir Ernest Shackleton, whose valiant attempts to reach the South Pole drove Scott to complete the mission for the Shackleton name a century later. 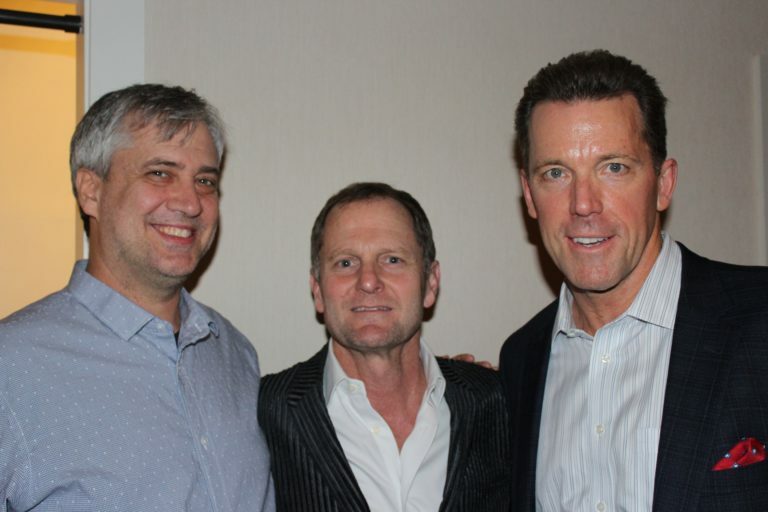 Q: Where was this latest client appreciation evening held? 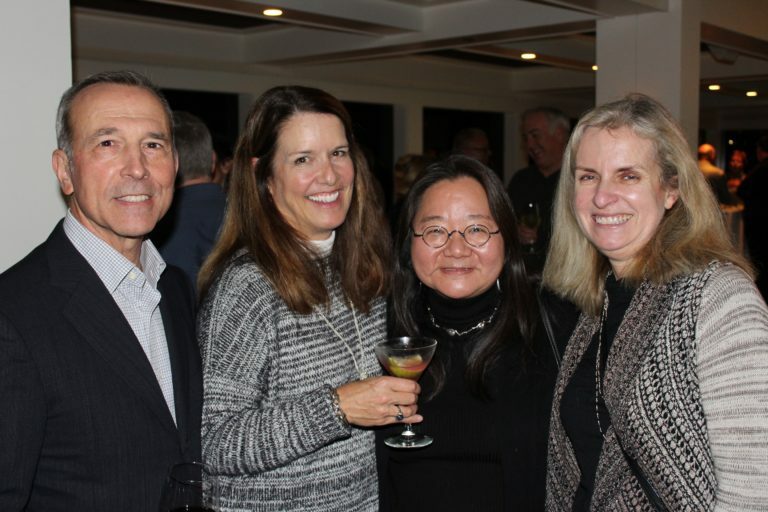 Joe: We met at Piatti, an Italian restaurant in Mill Valley, in an upstairs room with a lovely view of Richardson Bay. Great wines, great food. We set out arrangements of hydrangeas on the tables. There were wonderful appetizers; the phyllo-wrapped mushroom cigars filled with wild mushrooms was my favorite. The desserts were outstanding. There were about 40 guests there. A good sized-group with great conversation. Q: Why did you invite Captain Shackleton to speak? Joe: I’d always been a fan of Sir Ernest Shackleton. I’d readEndurance: Shackleton’s Incredible Voyageby Alfred Lansing. I like to inspire our clients, to encourage them to push their comfort zones in life. 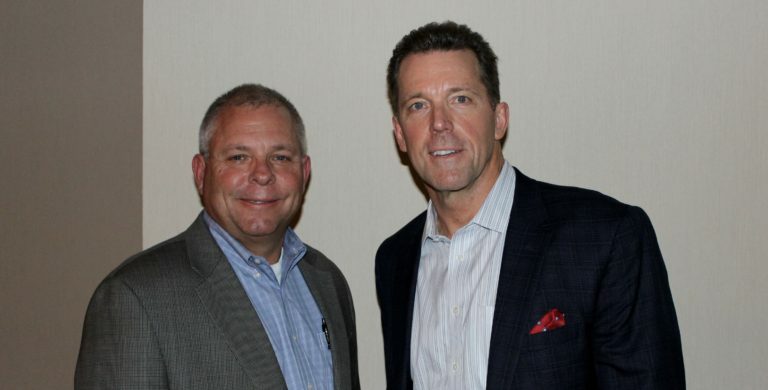 When I was introduced to Scott by my brother and we spoke, Scott seemed to be a perfect fit to share his story. Q: What makes Sir Ernest Shackleton an inspirational figure? Shackleton got closer than anyone else to reaching the South Poleon his second expedition to the Antarctic in 1907-1909. He got within 97 miles. In the winter of 1911-1912 two other explorers, Roald Amundsen and Captain Robert Falcon Scott, made it, but Captain Robert Falcon Scott and his crew didn’t survive. On Shackleton’s third expedition to the Antarctic in 1915, his ship, theEndurance, sank after being crushed in the ice pack. He and his crew took the life boats to Elephant Island, which was uninhabited. Shackleton took a contingent over 800 nautical miles in an open boat to South Georgia Island, inhabited but on the other side of a 10,000-ft high mountain pass. They hiked over it in 36 hours and found help at the inhabited whaling station. 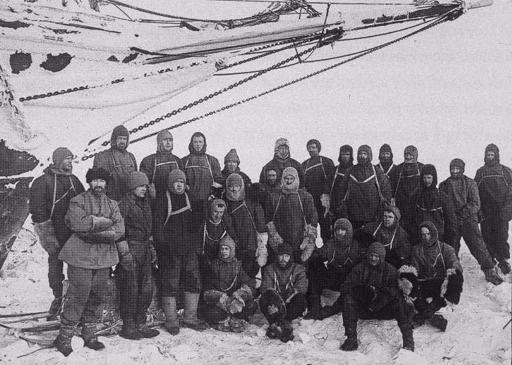 It took Shackleton three months and four attempts to make it back to Elephant Island to rescue the 22 men he’d left behind. Nobody perished. It is judged by many to be one of the most remarkable maritime rescue missions ever completed. Q: Amazing. How did they make it in just 36 hours? We don’t know especially in light of the physical condition they were in after sailing there. They lacked proper equipment, clothing and food. But we do know about the “Boss” as Shackleton’s crew referred to him and his determination to rescue his crew. Q: What themes stood out to you about Sir Shackleton’s story? 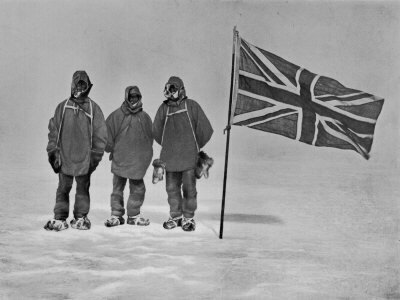 Captain Robert Falcon Scott made it to the South Pole but he and his crew died. Ernest Shackleton protected his people. It begs the question, what makes a good leader? Is it reaching the goal no matter the cost, or knowing when to quit to protect what matters most? 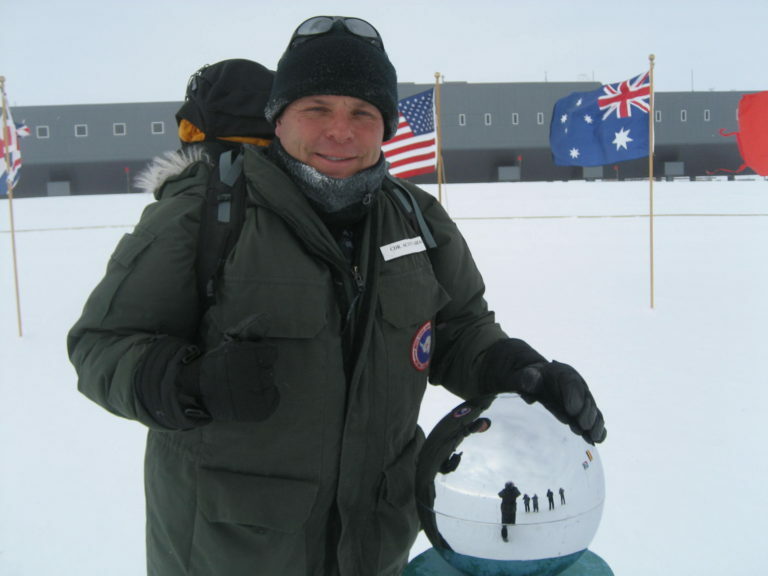 Q: Scott Shackleton was determined to be the first of his name to make it to the South Pole. How did he accomplish that? Joe: It was his life’s dream to make it down there. 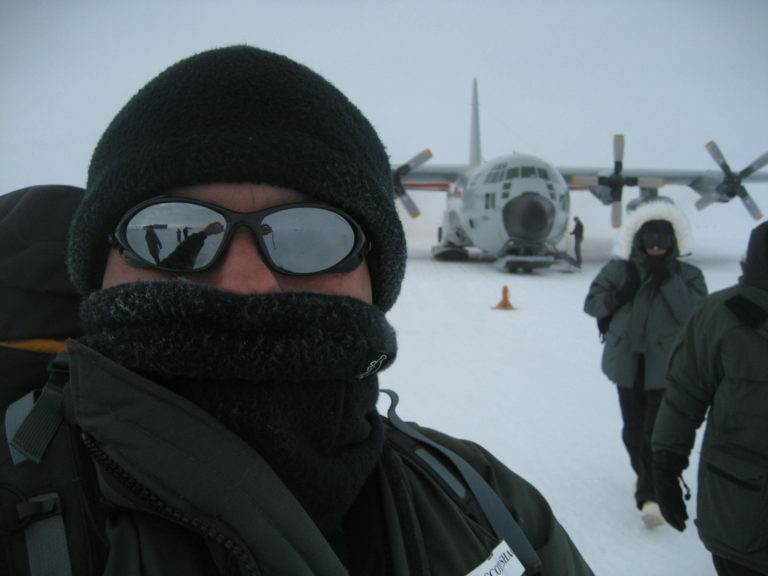 He petitioned theNavy top brass to allow him to be a part of the crew to resupply McMurdo Station in 2010. Once there he enlisted the help of a pilot to take him down to the South Pole from the station. They piled into a “skier”, a US Air Force four-engine Hercules LC-130 aircraft specially equipped for harsh polar conditions. Still, they weren’t sure they were going to make it and thought they might have to turn back. But the pilot knew Scott was on a mission and told him, “We’re going for it!” The crew put on helmets and oxygen masks and explained they were depressurizing the aircraft so that if they crash the hull wouldn’t rupture. Scott said, “What about the rest of us?” They told him, “Just breathe deeply.” That didn’t exactly put him at ease. It was total whiteout conditions. The pilot finally spotted the runway flags and veered over to land. It was 56 degrees below zero and the aircraft was only rated for 50 below. The engines had to keep running so they didn’t freeze. Scott had just half an hour. He had American flags with him to take pictures with. When he got them out they froze immediately like pieces of plywood, making it hard to hustle. But he made it back in time. He was so appreciative of the effort everyone was making on his behalf to help him become the first Shackleton to reach the South Pole. Q: What effect did this presentation have on you, personally? Joe: What struck me was the amazing beauty of the Antarctic.Extreme but beautiful. Wildlife is plentiful – whales, penguins, seals. Scott talked a little about climate change, how the pack ice is melting and the emperor penguins are in rapid decline. I decided to add going to the Antarctic to my bucket list. Maybe I’ll take my son with me. People who attended told me how inspirational they found Scott’s passion for this part of the world. It really made me think about how we’re only here on this planet for a set period of time. We need to make the most of it.